In this section, you can find pms format files of the downloadable Musicals in Pokémon Black/White and Pokémon Black 2/White 2. Use Pokestock (Japanese language program) to insert these files into your save file directly. 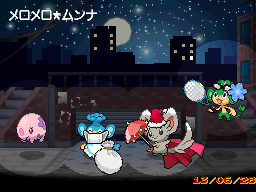 The Charming Munna Musical was obtainable for Black, White, Black 2, and White 2 games at any time. 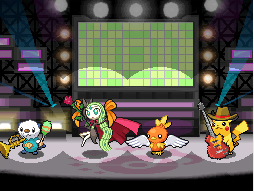 The Pokémon Smash Musical was obtainable for Black and White games by using a password. 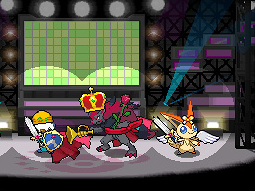 The Carnival Pokémon Musical was obtainable for Black and White games by using a password (US/EU), by just accessing the Global Link (Japan BW), or by participating in the Pokémon Center Cup (Japan B2W2). 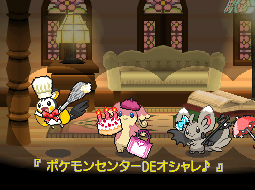 The Meloetta Musical was obtainable for Black, White, Black 2, and White 2 games by accessing the Global Link. 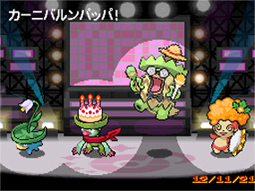 The Carnival Ludicolo Musical was obtainable for Black 2 and White 2 games by accessing the Global Link.